Dip. T., B. Arch. Sci. 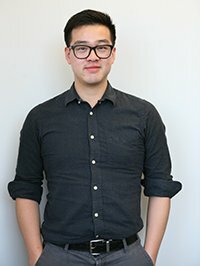 Wei is a graduate of the Architectural Building Technology Diploma program at BCIT and has also recently completed his Bachelor in Architectural Sciences at BCIT. He enjoys learning and is always striving to improve himself. He has experience working in various construction fields ranging from estimating, and construction renovation. Before his time at Thinkspace, Wei had the opportunity to travel through parts of East and Southeast Asia, where he was inspired by the beautiful architecture and landscapes. Wei wishes to pursue a dual Master’s Degree in Architecture and Landscape Architecture in the near future. He is passionate about integrating elements from both disciplines in an effort to generate better user experiences. In his personal time, Wei likes to foster his maker mindset by delving into DIY projects. Woodworking, model building, and bonsai cultivating are among some of his favorite past time.